Careem has always something exciting for its users. Be it promos or rewards, the ride-hailing service has always tried its level best to facilitate its users with something news. This time the app having service has launched a new locality program named rewards. With Careem Rewards in Pakistan, one can automatically earn points for each ride you take. Upon getting some good amounts of free awards, one can spend on rewards like a discount, free credit, or giving back to those in need. As they are your point, you have an open choice to use them just according to your choice. Upon taking 15 rides a month, one can earn 50% more points and you will be eligible for exclusive benefits reserved only for the super-loyal. One can see their rewards on main side menu just below your name. Upon tapping on it, one can see them and start using them. 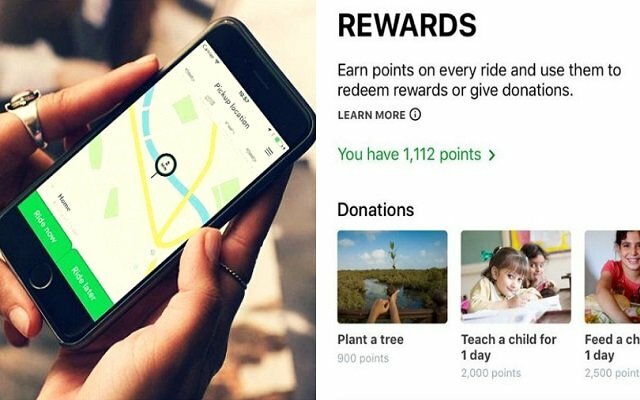 Use your points to give back to those who need them or take free rides. The number of points you earn is subject to the country and city in which you’re using Careem and depends on the cost of the ride. You’ll also earn points by topping up your Wallet (not applicable for best up through Fawry in Egypt). You’ll earn points on all rides paid by cash, card, or invoice. You won’t earn points on rides taken using a Package or credit. Free, discounted, or unpaid rides will not earn you points. Once outstanding amounts are settled, points will be awarded accordingly. Now You Can also send Careem Credits to Your Beloved Ones. Here’s How. So what are you waiting for? Enjoy free rides with these points.